Does your skin show the effects of age and sun damage? In just 20 minutes, a chemical peel can rejuvenate your damaged skin and help you achieve dramatic improvement in skin texture and tone. SkinMedica peels are safe and work for all skin tones and complexions. 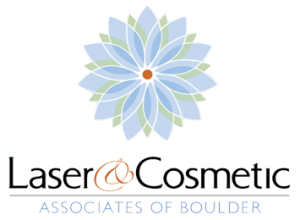 Laser & Cosmetic Associates of Boulder Valley provides effective non surgical and surgical facial treatments. Andrew Goldman, MD is a double board certified facial plastic surgeon specializing in facelifts, nasal reconstructive surgery, forehead and brow lifts, and eyelid and neck rejuvenation. Trust the experts at Laser and Cosmetic Associates of Boulder with your most precious commodity, your face. Best of Boulder for nine years in a row. Enhance, rejuvenate, look great!